December 6, 2008 - 18 miles. River Esk. December 13, 2008 - 0900, 1210, 1400. Douglas Ferreira. 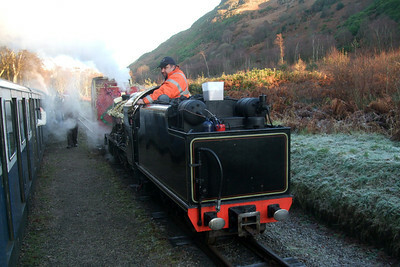 December 19, 2008 - Ravenglass. December 20, 2008 - 0900, 1210, 1400. Douglas Ferreira. 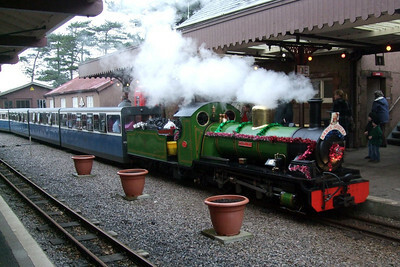 December 22, 2008 - Ravenglass. December 26, 2008 - 1030, 1300, 1500. Douglas Ferreira. 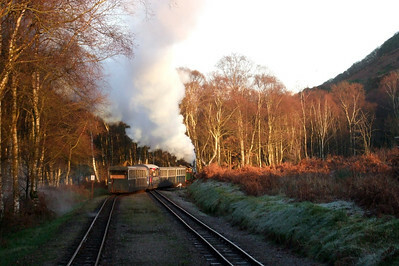 River Esk sits outside Ravenglass loco shed as Douglas Ferreira departs Ravenglass with the ECS to Dalegarth on a frosty morning, 06/12/08. 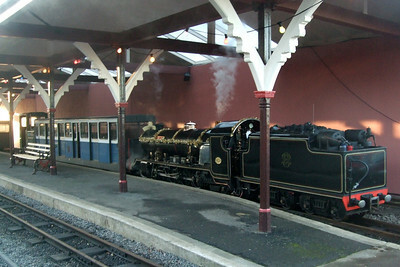 River Esk sits tender-first under the awning of Platform 3 at Ravenglass with the mess coach, 105 and Cyril, 06/12/08. 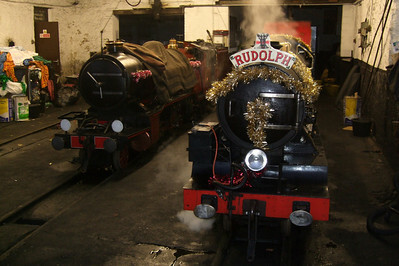 River Esk, coach 105 and Cyril on sleigh duties at Ravenglass, 06/12/08. 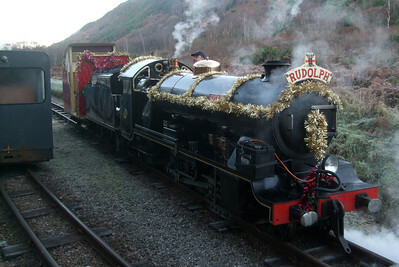 River Esk and Santa's Sleigh in Miteside loop, 06/12/08. 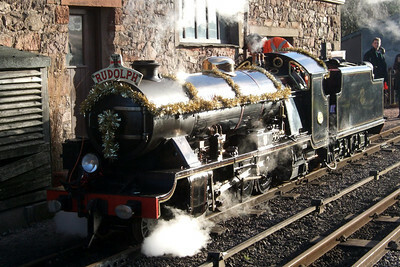 River Esk sits at Ravenglass tender-first, 06/12/08. River Irt approaches Miteside loop with a returning Santa Express, 06/12/08. 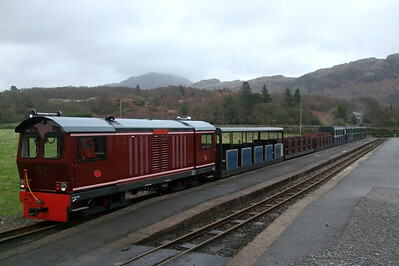 Douglas Ferreira passes Murthwaite siding, 06/12/08. 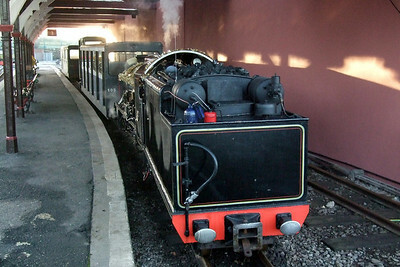 River Irt sits in Miteside loop, seen from the footplate of the sleigh, 06/12/08. 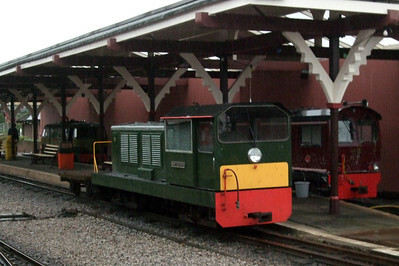 River Esk stands beside Ravenglass loco shed, 06/12/08. 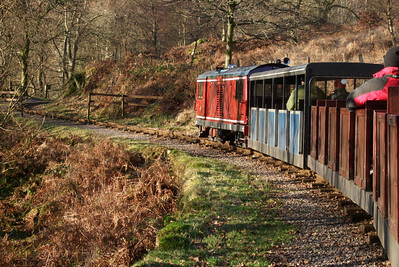 In perfect winter sunlight, River Irt shines as she steams down to Miteside loop with the returning Santa Express, 06/12/08. 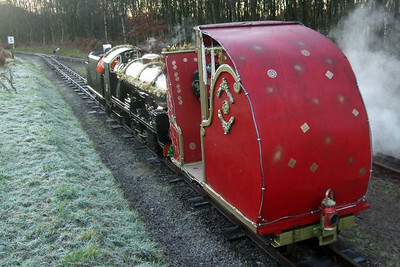 River Esk and the sleigh sits in Miteside loop, 06/12/08. 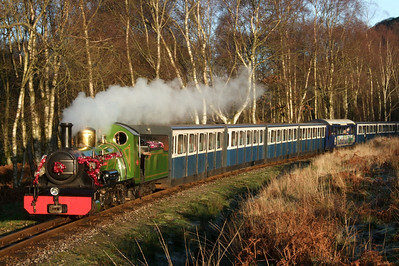 River Irt heads up the line for the final time, departing Miteside loop, 06/12/08. River Esk and the sleigh awaits the road out of Miteside loop, 06/12/08. 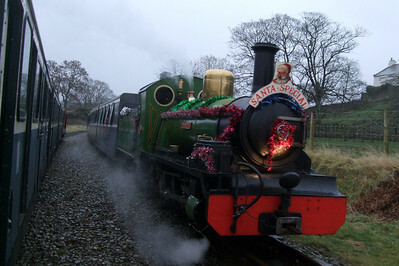 River Irt arrives at Ravenglass, 13/12/08. 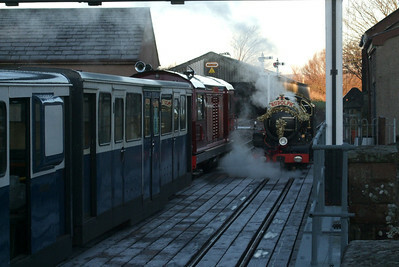 River Mite and River Esk share Ravenglass engine shed, 06/12/08. 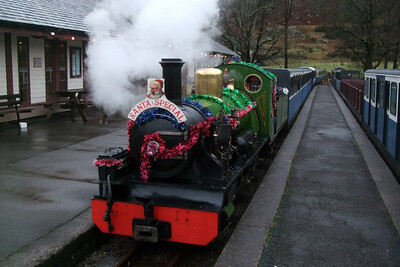 River Irt draws into Dalegarth station with the Santa train, 13/12/08. 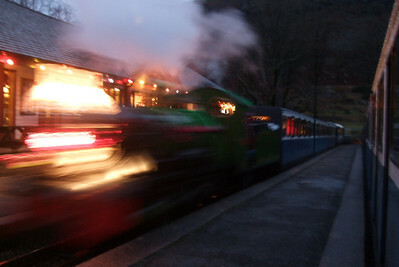 Douglas Ferreira at Dalegarth as the darkness encroaches, 13/12/08. 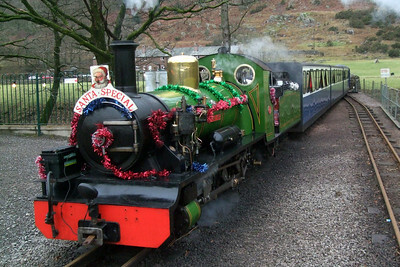 River Irt arrives at Dalegarth, 13/12/08. 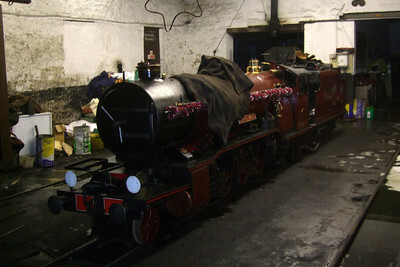 River Mite sits in Ravenglass loco shed, 13/12/08. 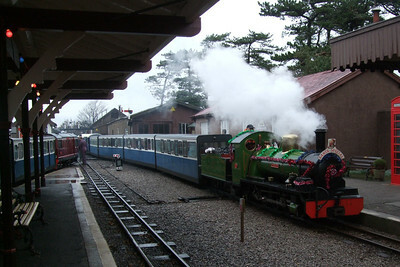 Shelagh of Eskdale, Lady Wakefield and Douglas Ferreira at Ravenglass in the rain, 19/12/08. 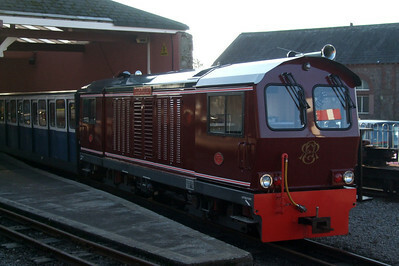 Douglas Ferreira sits at Dalegarth for Boot, 20/12/08. 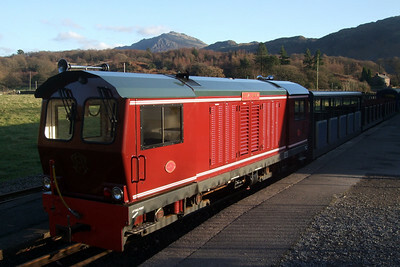 River Irt arriving at Dalegarth, 20/12/08. 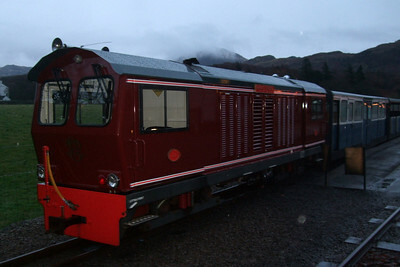 River Irt on Dalegarth turntable, 20/12/08. 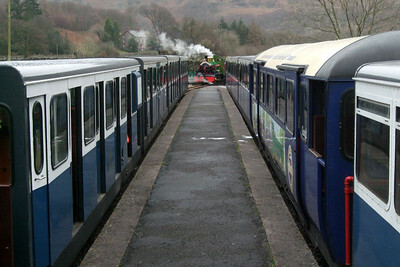 River Irt sits on Dalegarth turntable as the service train (left) and Santa train (right) fill the platforms, 20/12/08. 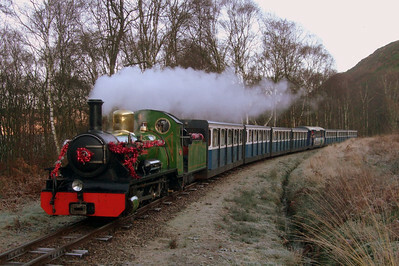 River Irt steams into Ravenglass station, 20/12/08. 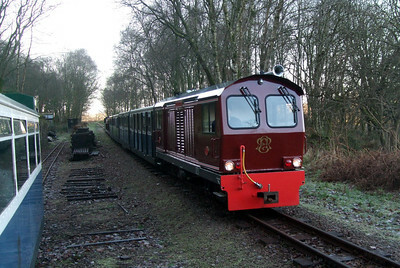 River Irt departs Irton Road as Douglas Ferreira heads up the valley, 20/12/08. 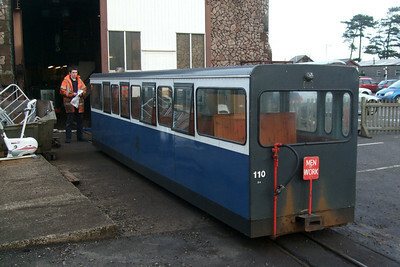 Saloon 110 undergoes attention from the engineers at Ravenglass, 22/12/08. 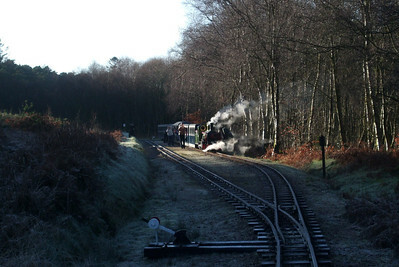 Douglas Ferreira approaches Fisherground Halt, 26/12/08. 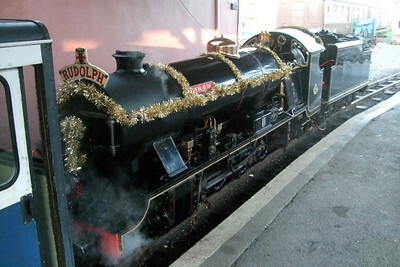 Douglas Ferreira at Ravenglass, 26/12/08. 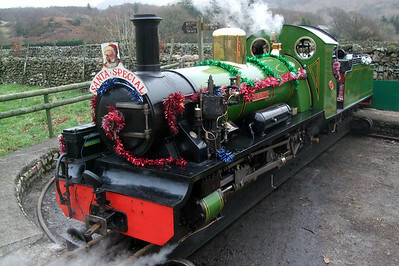 Douglas Ferreira under Harter Fell at Dalegarth, 26/12/08.